By identifying and prioritising certain overseas markets, exporters of products and services can develop a more effective international strategy. During this interactive masterclass we will look at the countries exporters have traditionally targeted and focus on the new market opportunities for future development. 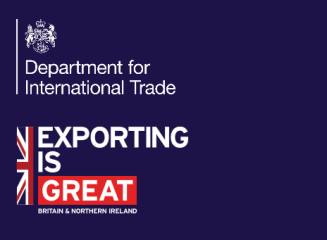 Join the Department for International Trade's Technology and Smart Cities team on Thursday 14th February at Durham County Cricket Club for an event designed to provide North East Technology businesses with an overview of the opportunities in Gulf Co-operation countries, India, Malaysia and The Philippines. Following the presentations one to one meetings will be available to discuss the prospects for your company with market experts. India is an emerging tech powerhouse and the world’s second largest smartphone market and on course to become the second largest market for IT by the end of 2018. This is a fantastic opportunity to join a tailored programme of meetings and events with access to NASSCOM, India’s leading Technology & Leadership Forum. Meet with the CXO’s of key technology companies (within the Tech, telecom, emerging tech sectors), Government officials (State/Central government) and Tech experts, influencers across two key Indian Cities.